"To promote and offer the didgeridoo as a musical instrument to the world." Over the past few years the increase in popularity of the didgeridoo as a musical instrument has been phenomenal. It has now become a widely accepted instrument within many styles of music. More and more people, novices and professionals alike are playing the didgeridoo. With this musical revolution in mind it was decided that our focus would be on musical quality. Many measures have been taken to ensure that this ideal is consistently reflected in all Echo Tree products. 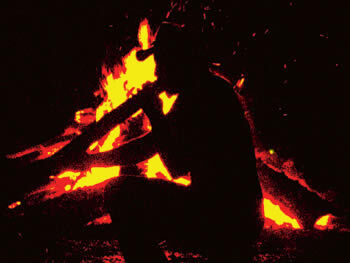 Research into subject areas such as didgeridoo acoustics, seasoning of timber, suitable timber types, innovation and functionality are all ongoing projects. The growing information base thus created from our research then helps us to develop superior and higher quality didgeridoos and other products for our customers. Our chief craftsman provides a specialised Custom Made service, where our impeccably handcrafted didgeridoos can be ordered with specific and individual requirements at a personalised level. For ideas on Aboriginal artwork, didgeridoo colours, shapes and appearance, check out our didgeridoos for sale and custom made pages. Our business provides a cultural exchange service focused on promoting, educating and entertaining people all over the world about the didgeridoo. Recently Echo Tree was invited to be part of a cultural exchange exhibition held in Asia by the Australian government. Our role was to promote and educate people about the Australian didgeridoo. This entailed performances and an extensive display of didgeridoos. Indigenous music was also promoted and disseminated to many of the people who were exposed to the unique sound of this instrument. It was estimated that Echo Tree was able to expose this cultural icon to over half a million people during the exhibition. This included newspaper, radio and television coverage and interviews. You can view some of the photos taken at this event in our activities section.